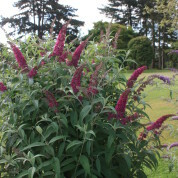 Buddleja ‘Summer Beauty’ grows to 120 -200cm (4-6ft) tall producing large sprays of deep rose pink fragrant flowers….once established. 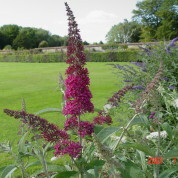 Nurseries have found it difficult to root and produce good quality garden centre stock. Try B. SUGAR PLUM, a Summer Beauty hybrid. 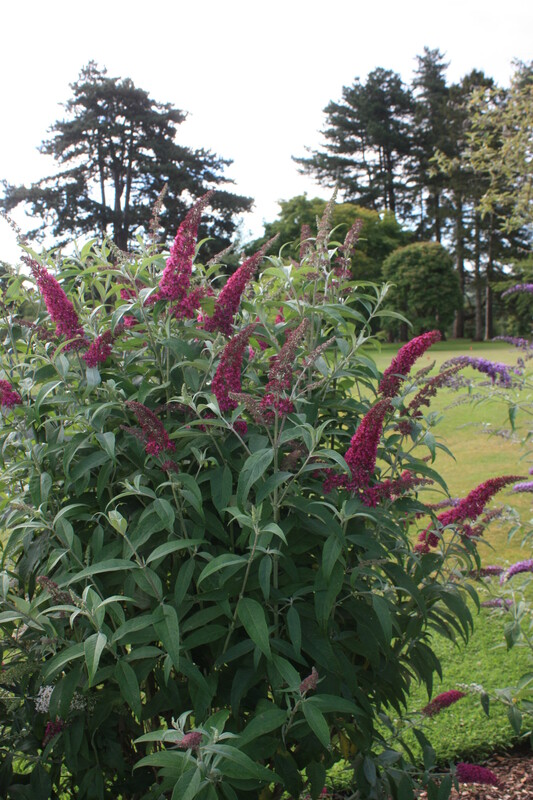 Buddleja ‘Summer Beauty’ is a hybrid cultivar developed by Horticultural Research International at Boskoop in the Netherlands. Derived from the crossing B. davidii ‘Fascination’ × B. davidii var. nanhoensis ‘Alba’ × B. 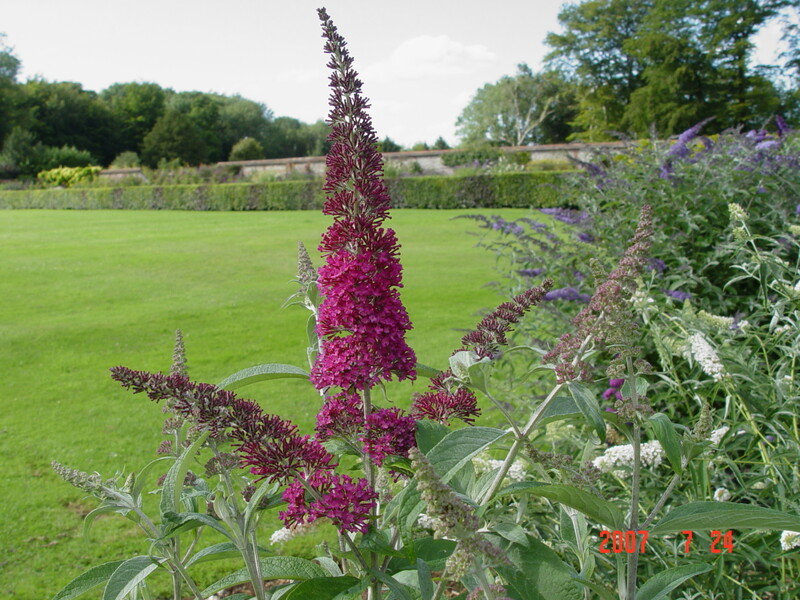 ‘West Hill’, ‘Summer Beauty’ is a sibling of B. ‘Pink Delight’.